What is the science behind hiring? 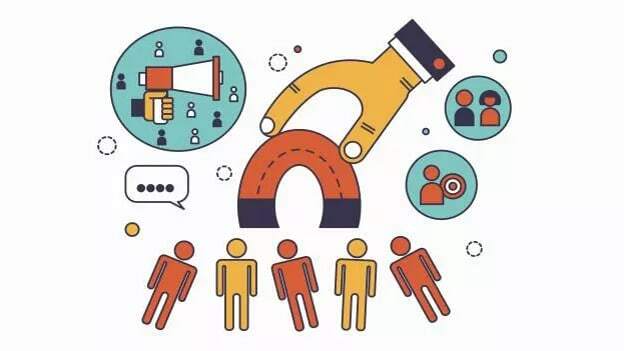 Read to know more about Hiring Science from experts Shivanker Singh, Senior Consultant, Aon Hewitt and Somnath Bose, AVP - Human Resources, HDFC Life, and how it can change the entire gamut of the recruitment process. Data is the key word when we look at the science of hiring. With extreme digitization, what we have in our organization library is scores of data. There is a need in sifting through them and using the required data to create a tech-process which will augment not just the recruitment process but also be effective for all the stakeholders from sourcing to retaining and to retiring process. In this regard, the concept of psychometrics is an essential ‘scientific’ tool which can deliver such an outcome. Talent Acquisition, when it comes to breaking it down to the processes, has 5 broad sub-categories: sourcing, screening, assessment, offer and induction & joining. All these sub-categories need different technology-enabled processes for augmenting the recruitment function. Hiring science, in this regard can help in executing this to the T. It can look at when to source, the database from which it can source, the sifting of the candidates, assessing them on the pre-mentioned virtues of the roles, the right compensation structure for the candidate, and then final onboarding of the candidate as an employee. Sourcing: Attracting right talent by creating an employer brand. There are several technology-enabled solutions in the market which allow organizations to evaluate the digital footprint of candidates to source them more effectively. These tools help recruiters identify active and passive talent and decide which talent is the best fit for the job role. Screening: Organizations use this process to ensure that applicants meet the basic requirement for the role like tenure, work experience, education, willingness to relocate and multiple other factors. Basic fitment check should be done by recruiter and decide if he should go ahead or not. It is important for the recruiter to use the screening process to set realistic expectations for the role to the candidate. This will help discourage early attrition as there will no expectation mismatch when a candidate joins the company. Talent Assessment: “Talent or candidate assessment is one of the most critical processes in talent acquisition as this where we identify the most effective way to separate the wheat from the chaff”. In the Indian context, often our biggest challenge is to efficiently hire talent and find the hidden gems from the plethora of applications. It is important to identify relevant approach or framework while assessing the candidate to not miss out in the right talent. Using a framework such as one mentioned below will help in the judgement of candidate assessment. How will you effectively evaluate the candidate? Ideal approach to answer the first question, i.e. ‘What’ are you looking for in a candidate, is through a Job analysis for the role. This involves taking inputs from high performing role holders and talking to them to know what makes them high performers. Recruiters must deep dive and look at the nuances of the role to identify what exactly leads to high performance. This is extremely important to get the foundation right and pick the right candidate. A deep dive into the “what” of talent assessment will lead to a holistic success profile of the candidate so you can evaluate multiple parameters to identify the profile of the candidate who will be successful in that role. What: This includes attributes like Cognitive ability, general intelligence, analytical ability etc. How: There are several cognitive ability tests, Gamified assessments in the market which can assess cognitive ability and help recruiters take decisions. What: These are competencies or behaviors which are observable like Customer centricity or process orientation, achievement orientation etc. What: This is the Inherent preference of the candidate which must be as per the domain role. What: These are the skills essential to function in the role. How: Interview, technical questions domain related tests among others. How: You can conduct written or verbal tests. To have a success profile use a balanced combination of these parameters and define what exactly you want from the role. Candidate Experience: Quality of the Candidate experience should be the primary design principle in any recruitment process design. Every process in Talent Acquisition must be designed keeping in mind the kind of experience we want to give to candidates. Seamless experience, candidate interface should be used to enhance talent experience. This is important as it impacts a brand’s image and ultimately its sourcing and hiring. Psychometric properties of the identified tools: There are a lot of tools, but they should be used as per context of the job role. Analytics for data based decision making: The idea is to start measuring things with the help of efficiency and effective metrics and then applying that knowledge to better the processes. Evaluate ROI/efficacy and tweak: After evaluating the efficacy of process and through analysis, it is important to refine the process to make hiring better. Here we present to you a Case Study where HDFC Life partnered with Aon Hewitt while using ‘Hiring Science’ for a positive business impact. The insurance business is volatile, and keeping the business environment of volatility in mind, it was found that employees were leaving HDFC Life within the 6 months of their joining. The primary reason being: misfit of the candidate in the role leading to higher attrition rate and lower productivity. Not only was attrition a big concern, the domino effect was also felt across the TA team. In 6 months of hiring, the team was on a lookout for replacement since employees were leaving. Added to the attrition challenge, the Recruitment team also faced the issue of sourcing the right candidate, assessing them correctly and having a standard process to hire similar profiles across various HDFC Life branches. HDFC Life implemented the Hiring Science Model about two and half years ago. To address the challenges that it faced with attrition and sourcing of talent, an assessment tool was created in line with the Hiring science. The assessments were done on high performers on what makes them successful, and feedback was taken from them to create a broad competency framework. This framework helped the team to understand what capabilities are required to be a successful frontline sales profile. Abilities: Since it was a sales role data and information processing skill were considered. Demonstrated behavior: The behavioral aspects of candidate were linked to organization values and orientation of hire was done to fit into the culture of the company. The correlation of competencies with level of performance was checked to give the right context to the candidates joining the organization. With the help of the tool a minimum threshold for success was decided for every candidate assessed for hiring. In one year, a major difference was seen in the performance and productivity. A 15% decrease in early attrition was observed in the company. Due to the competency framework, only the candidates with minimum threshold criteria were interviewed by the line managers which led to hiring the right talent. In one year, performance of the individuals saw a sharp increase. A performance milestone of 15% was achieved by the company. The competency level of the candidates as well as the talent pool for hiring improved due to the assessment tool, and the sourcing improved as the trend emerged that hiring more Graduates and undergraduates led to better productivity.